With fewer resources to adapt socially, technologically and financially, developing countries are expected to be the most exposed to climate change. The most recent report released by the Intergovernmental Panel on Climate Change (IPCC) shows that climate change impacts are expected to exacerbate poverty and hold back human development, particularly among developing countries. The IPCC is a scientific intergovernmental body under the auspices of the United Nations tasked to carry out comprehensive assessment of climate change. It projects climate change to slow down economic growth, make poverty reduction more difficult, further erode food security, and prolong existing and create new poverty traps. Rise in temperature will lead to serious effects such as reduced crop yields, increased risk of hunger particularly for agricultural economies, and water shortages. Food insecurity will lead to greater rural-urban movement. It also poses greater risks to health due to food and water insecurity, and the spread of climate sensitive diseases such as malaria. As such, climate change impact will disproportionately affect the poorest of the poor as such farmers and communities living in rural and low-lying coastal areas, being dependent on agriculture and having little to no access to sanitation and water. In response to growing threats and a need for action, countries highly vulnerable to climate change convened and formed the Climate Vulnerable Forum (CVF). The CVF is an international partnership of countries that serves as a platform for South-South cooperation to act together to deal with global climate change. It comprises of developing economies from across Asia, Africa and Latin America to share expertise and experiences. In the First Declaration of the Climate Vulnerable Forum in Maldives in 2009, these twenty-one countries released a statement that “our nations lie at the climate front-line and will disproportionately feel the impacts of global warming”. The member-countries include Afghanistan, Bangladesh, Barbados, Bhutan, Costa Rica, Ethiopia, Ghana, Kenya, Kiribati, Madagascar, Maldives, Nepal, Philippines, Rwanda, Saint Lucia, Tanzania, Timor-Leste, Tuvalu, Vanuatu and Vietnam. If climate change continues its path to 3–4°C global warming, it is expected that these regions will suffer the biggest consequences from human-induced climate change. Higher temperature and warming of oceans could lead to sharper changes in annual rainfall. Uneven precipitation is expected to dry up subtropical arid and semi-arid regions in East Africa, and extreme precipitation could lead to stronger cyclones in South Asia (such as Nepal, Bangladesh and India) and Southeast Asia (such as Myanmar, Thailand and the Philippines), and heavier monsoons in West Africa. In fact, such phenomenon is no longer news but a tough reality for us and many other developing countries. 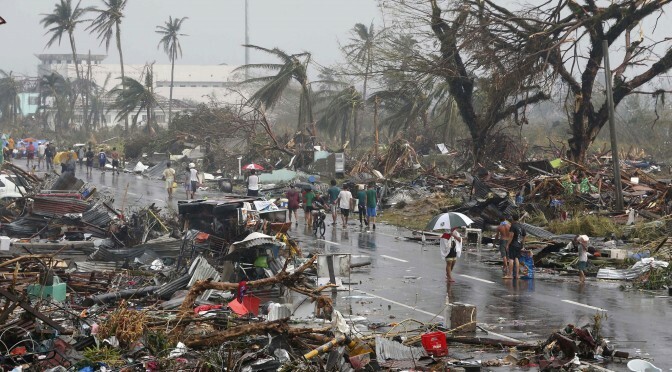 Last November 2013, the strongest recorded typhoon to make landfall slammed into the Philippines. 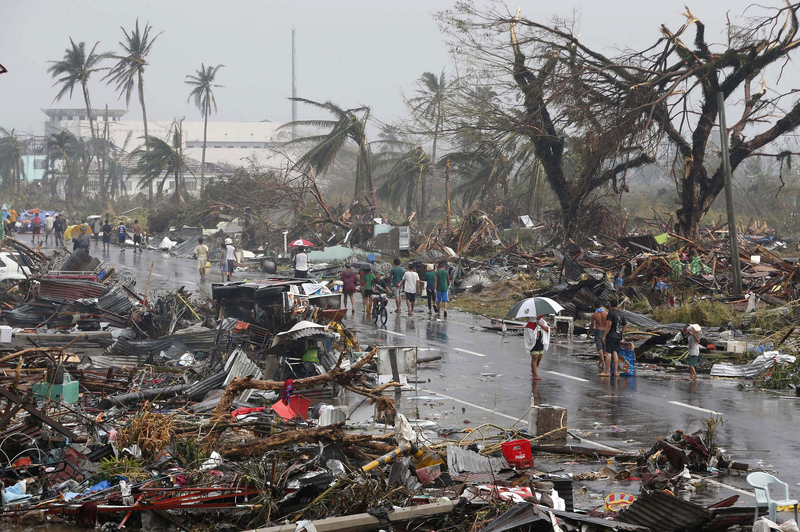 Torrential rainfall, winds and waves brought by Typhoon Haiyan caused catastrophic destruction. It flattened entire towns, affected more than 11 million people, including 4 million children, and it took away the lives of 6,300. People Surge, an alliance composed of Typhoon Haiyan survivors, hope to relay their stories of struggles and survival. Many survivors were left with almost nothing, families were separated from each other, left with nothing to call home. Peasants and fisher folk, workers and urban poor and the lowly paid professionals sink further into poverty. According to People Surge, many still have no land, no work, no government services, and live in rags and hovels. One year after the typhoon hit, reconstruction and recovery has been slow. Failure to deliver relief services inclusively, unemployment and lack of livelihood opportunities are still major concerns. Although massive efforts are already being undertaken by the Philippine government, it is expected that recovery will take up to five years. In Africa, it is suspected that climate change is taking its toll on the agricultural sector, which is projected to be directly affected by erratic weather conditions. According to the Consultative Group on International Agricultural Research (CGIAR), minor climate shifts have had profound effects on farmers. Unpredictable and erratic rainfall result in poor planning and lower farm yields. Economies dependent on agriculture cannot afford this. For example, the Kenyan farming sector, which makes up 75% of the country’s labor force, has low adaptive capacity to weather disturbances. This is because of limited financial resources, heavy reliance on rain-fed agriculture, and widespread poverty. Minor changes in the weather could have tremendous effects on human and social development in these countries. Food insecurity forces young people from rural areas to seek jobs in overpopulated cities, such as Nairobi. However, high levels of unemployment and cost of living in cities would only force them into unemployment and criminal activity. High population growth and poverty will put South Asia on a vulnerable situation to climate change, according to CGIAR. Being highly dependent on agriculture, South Asian economies could face increased drought, unprecedented flooding, heat waves, and decreasing farm yields. Aside from this, low-lying areas are most prone to flooding. Urban areas in India, such as Kolkata, Mumbai, and Dhaka, which span 46 million people, face risks related to massive flooding. Bangladesh, which stands on low-lying ground, is vulnerable to flooding and cyclones in the Indian Ocean. In 1991, a 20-foot storm surge has resulted in the death of nearly 140,000 people. A one-meter rise in sea level could sink over ten percent of Bangladesh, which will have tremendous effects on its people. Various steps are being undertaken at the community and national level to mainstream efforts to prepare for climate change, but so much more is required. Costs of adaptation to climate change is estimated to range between $49–171 billion per year by 2030, according to the United Nations Framework Convention on Climate Change (UNFCCC). Current funding is not enough to support adaptation needs. Both rich and poor countries need to adapt to climate change, and it will be costly. However, developing countries have little human capacity and financial resources to adapt. Innovative financing options are needed, such as technology transfer, capacity-building, and risk-sharing mechanisms. To ensure that funding will be sufficient and sutainable, a strong international framework is needed. However, lack of consensus and international cooperation hold back progress in combatting climate change. 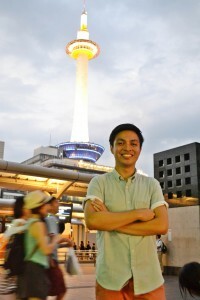 Marvin Torres Lagonera is a graduate student completing his Masters degree at the Ateneo de Manila University in the Philippines. He is completing his research on energy governance and sustainability transition in Kyoto University under the ASEAN University Network-Kyoto University mobility program. He is currently an intern at Kiko Network.